Javier Lopez entered the sixth inning in relief for Ryan Vogelsong and gets just the one out to collect his seventh hold on the season. He threw six pitches three being strikes, but did not record a strikeout. 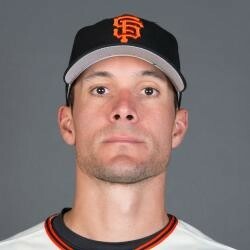 Javier Lopez is the Giants main lefty out of the bullpen and it's easy to see why. He has a 0.95 ERA with 13 strikeouts in 19 innings, he also has a 0.63 WHIP to go along with his superstar stats.